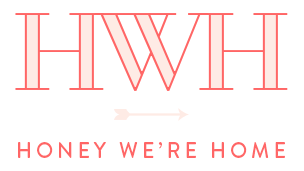 Welcome back to my series HWH Loves Bloggers! 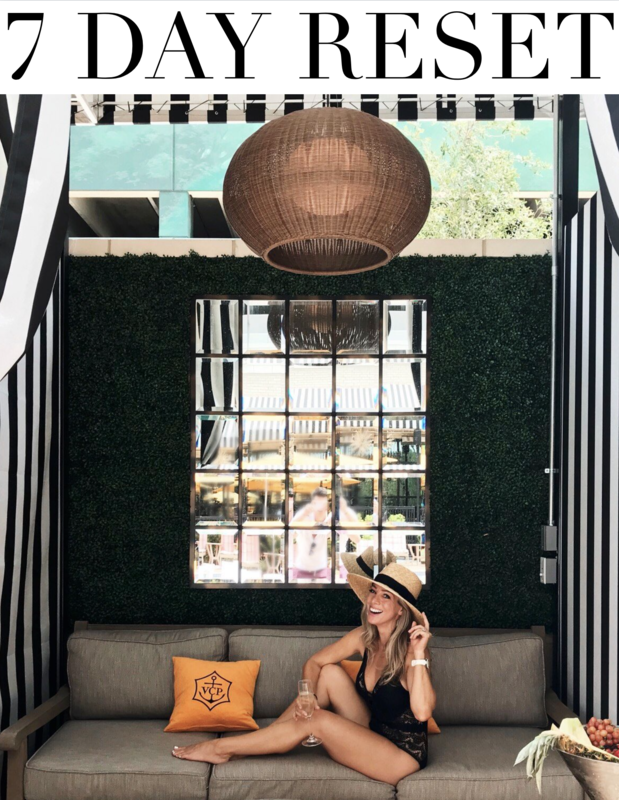 Every week, we get to peek inside bloggers and instagrammers’ gorgeous real life homes when they tag their photo on Instagram with #HWHlovesbloggers. You can check out the series opener 5 Tips to a Perfectly Curated Home and see last week’s gorgeous BEDROOMS here. 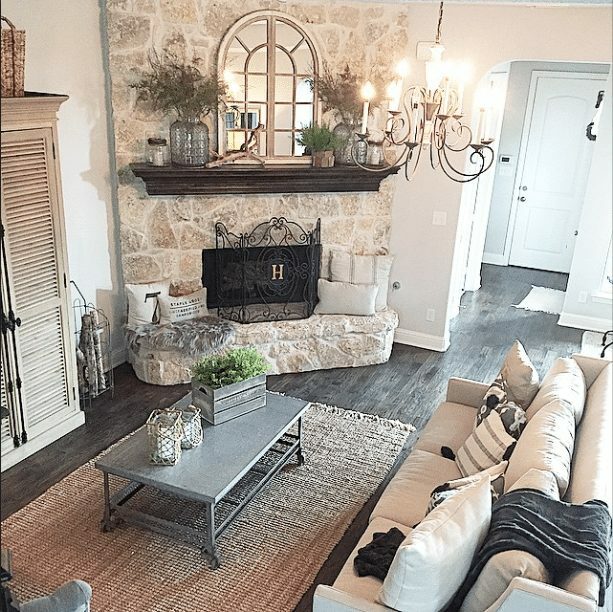 This week, I asked to see your beautiful LIVING ROOMS and y’all did not disappoint! I was up late last night scrolling through all the images and couldn’t stop adding to today’s feature! 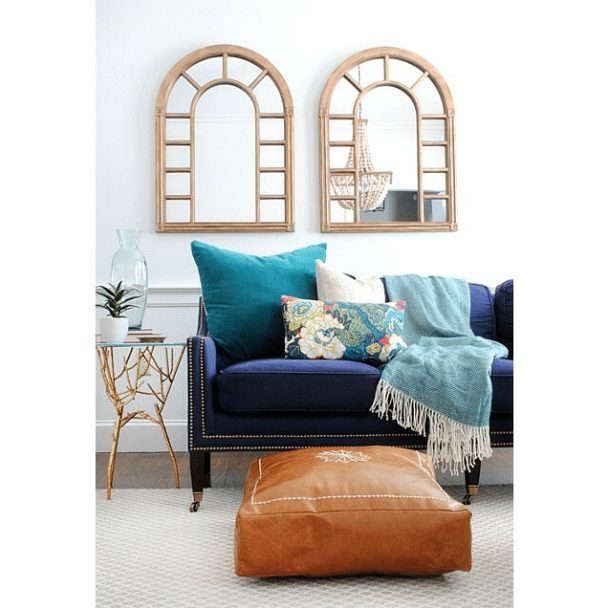 Although everyone has their own unique style and personal touches, I found that we tend to fall into three categories of decor with our living rooms: 1) bold and bright; 2) pops of color; and 3) lovely neutrals. 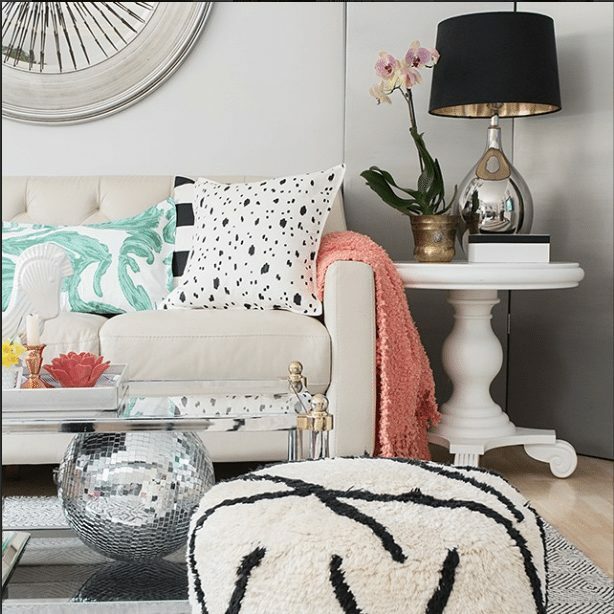 Our own living room probably falls into the ‘pops of color’ category because we brighten up things with colorful pillows, throw blanket and flowers. For next week, I’m looking for your KITCHEN spaces. Just tag your kitchen Instagram picture (it doesn’t have to be the whole room and you don’t have to have a blog to be featured!) #HWHlovesbloggers for a chance to be featured on my blog and on my Instagram. Thank you so much for linking up and sharing your spaces! 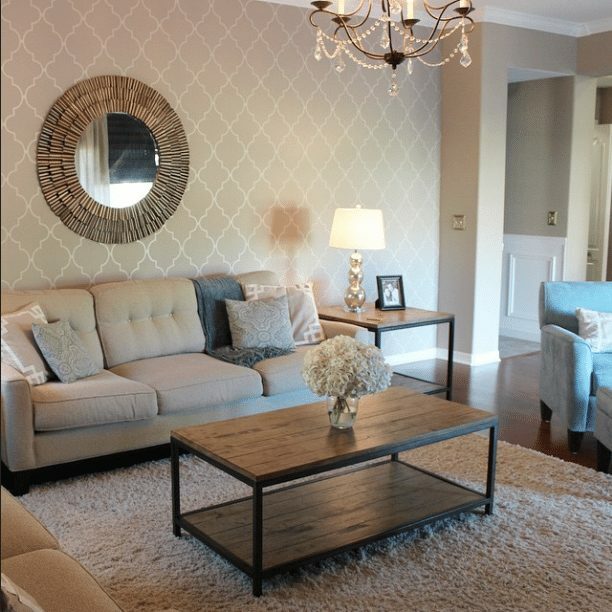 My girl Cassie is the only one I know with a pale blue sofa and it works so beautifully in her room. I’ve seen this room transform over the years, and after she painted the walls white (#shocker for Cass! ), I fell in love with it even more. The scale of the pillows she chose is great too. 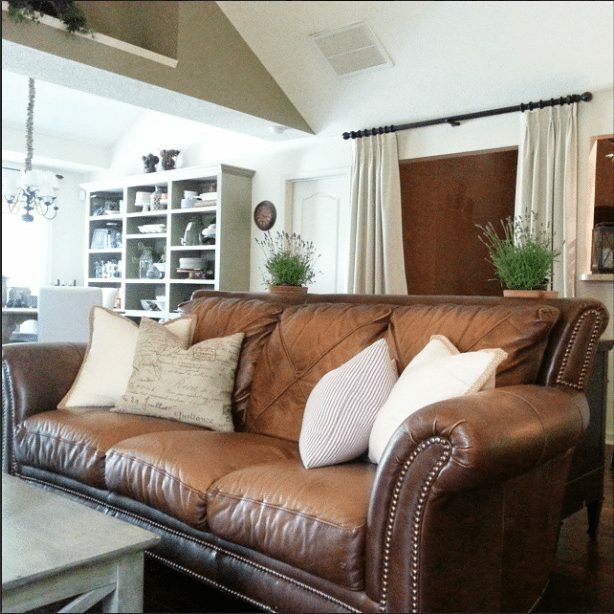 I was happy to see these two shots of Kristin’s living room. The room looks even better up close! I’m a big fan of Julia’s style. Anyone who boldly puts a disco ball in their living room is okay in my book! 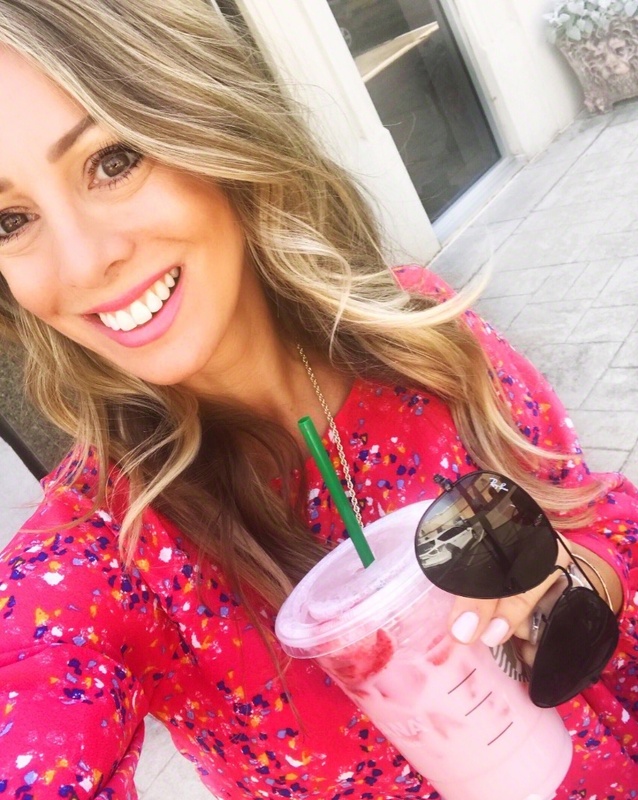 If you don’t know Carmel, or haven’t been to her blog in awhile, I urge you to stop by! She’s a true original with a great sense of bold style! 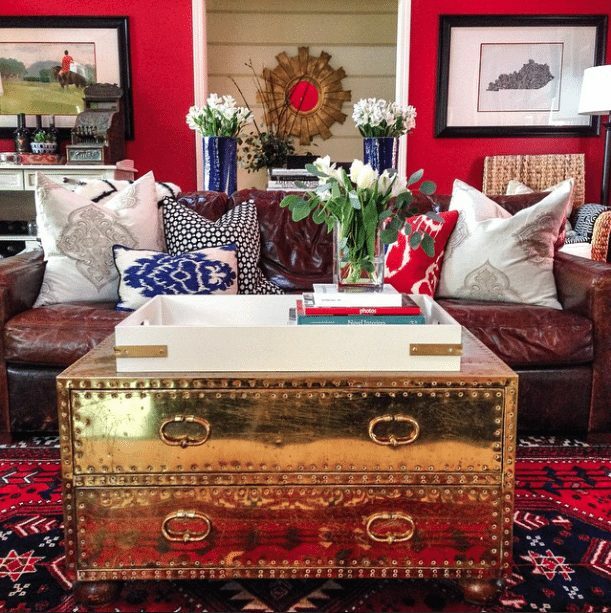 You’ll always see red used in a fun way in her home. Jennifer never ceases to amaze me with her DIY skills. She made that pouf, ya know?! Follow along with now to see her inspiring kitchen redesign. I’m so glad I had the pleasure of meeting Caitlin last year at Haven blog conference. She is seriously talented and such a sweet person! I love both of these living room spaces she linked up. 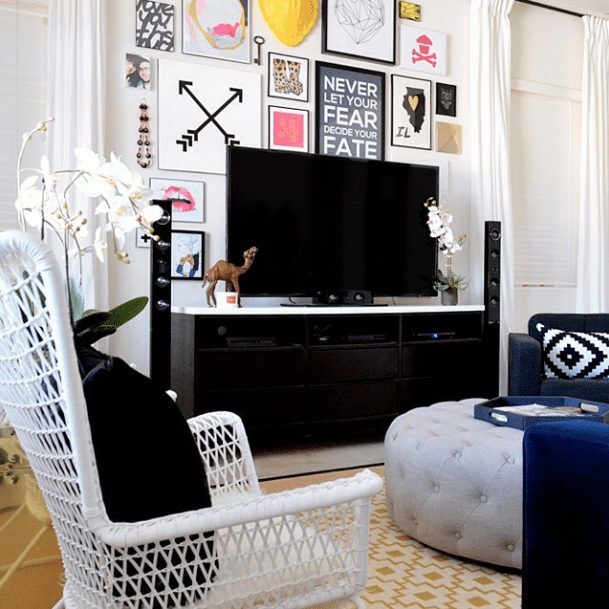 What a fun gallery wall! 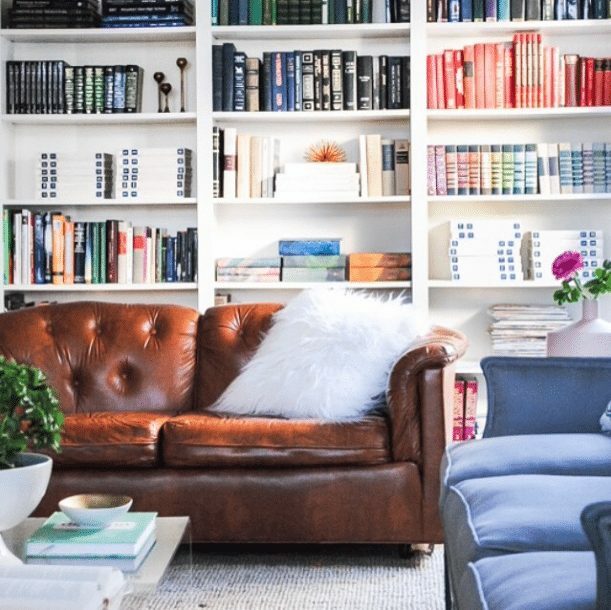 I’m always a fan of bookshelves styled with lots of books! 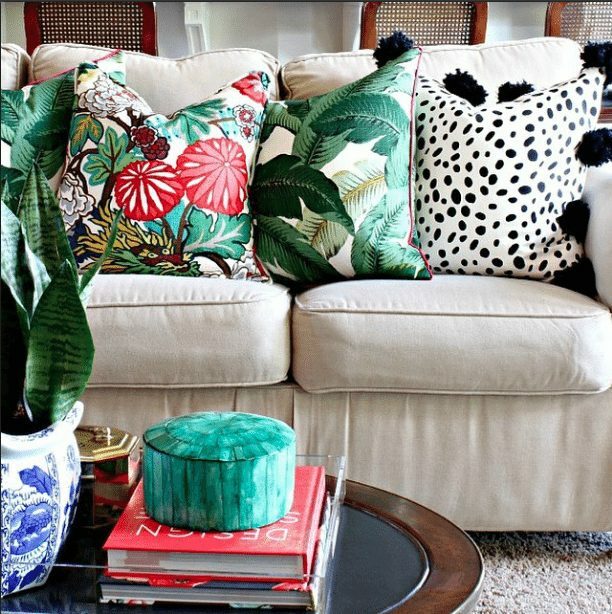 And that fluffy white pillow really softens the brown leather sofa. 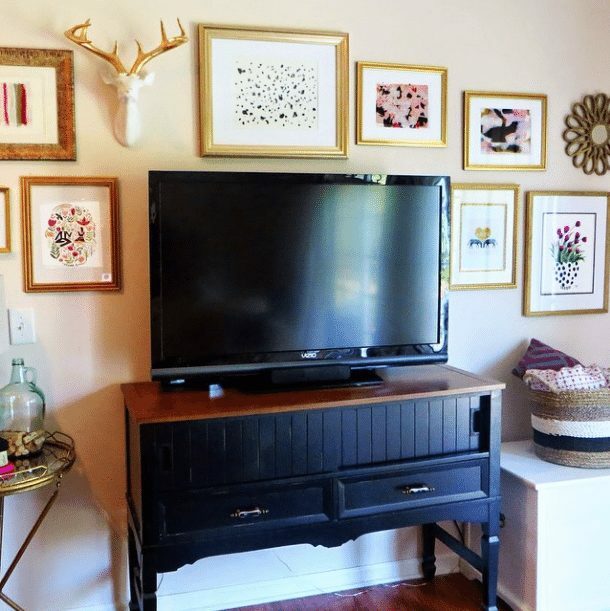 If you’re stumped for how to decorate around your television, try a gallery wall like this with a mix of art and objects. Makes the space much more interesting and draws your eye away from the t.v.! 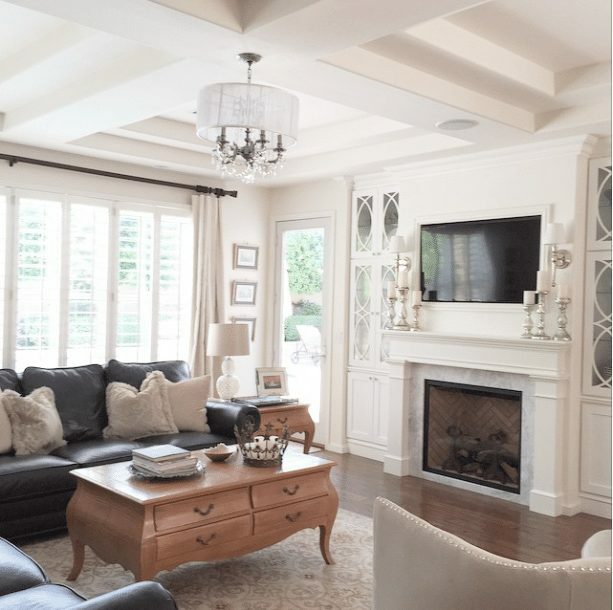 Y’all know I fell in love with Michelle’s Toronto home last week and I think you’ll agree, it truly is beautiful. I added three of the photos she tagged because they are all equally gorgeous! 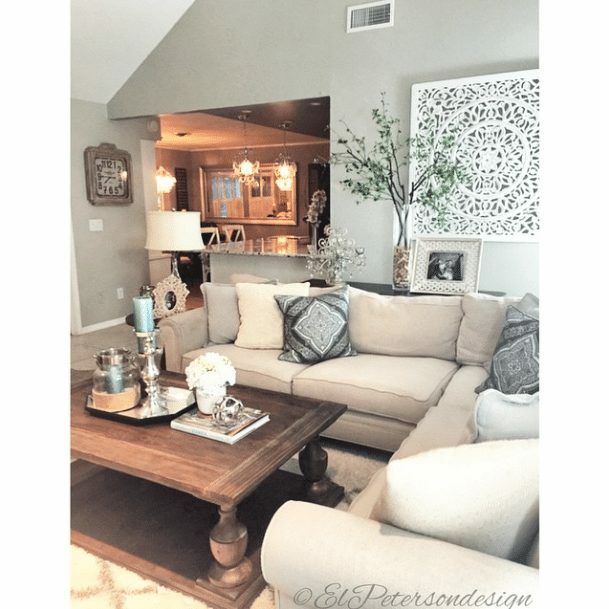 I’ve been following Erin’s blog for a long time and checked in often to see how her new-build house was coming along. And now that it’s finished and they’re all moved in, getting to watch her decorate the inside has been a fun process. I love how she takes her time and does it her way. 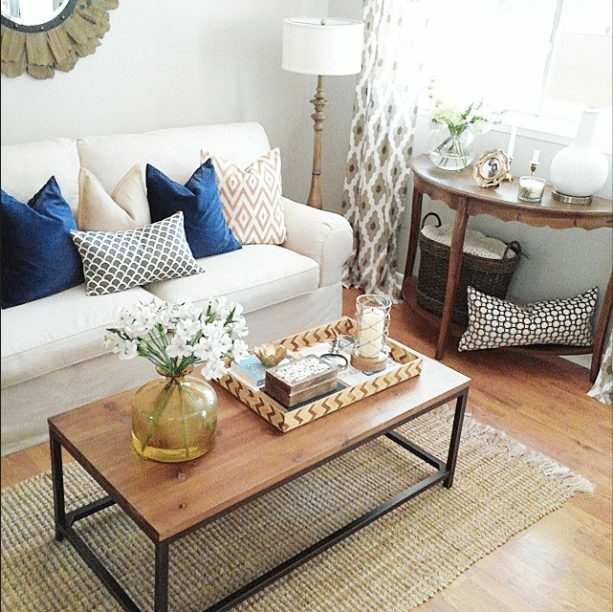 Brandi’s living room is right on with a mostly neutral palette, but then she adds that bit of energy with those bold blue pillows! Such a charming space! 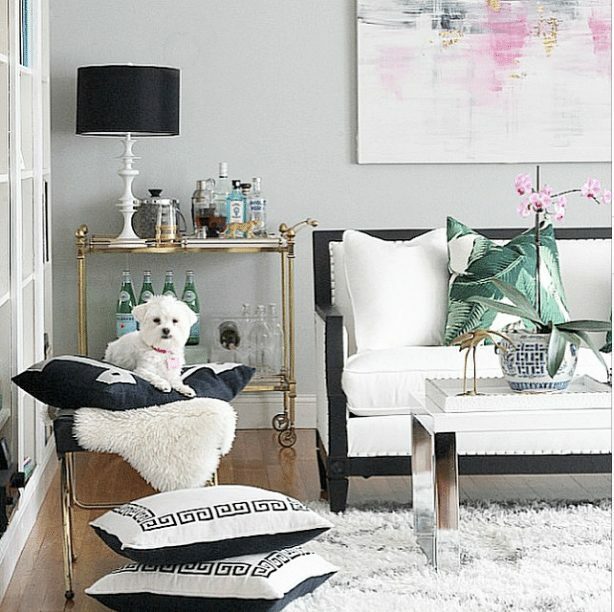 Blogging duo Bridget and Casey have a super fun blog and decorating style! How about that aqua door?! 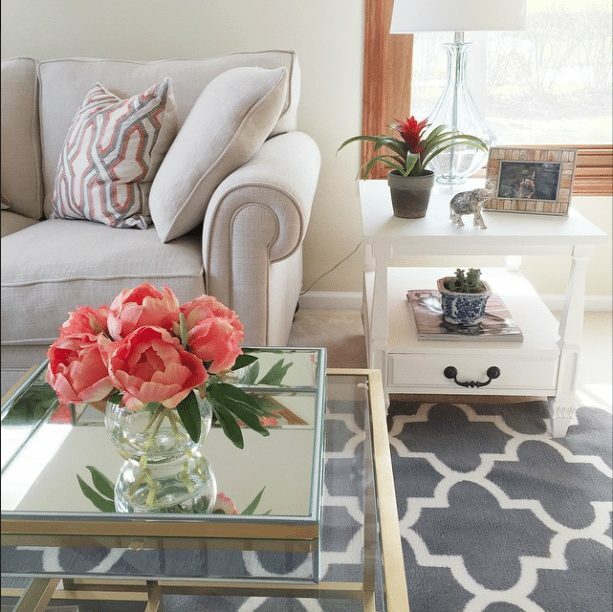 I love how easy it is to infuse color into a room with fresh flowers. This low arrangement is gorgeous! 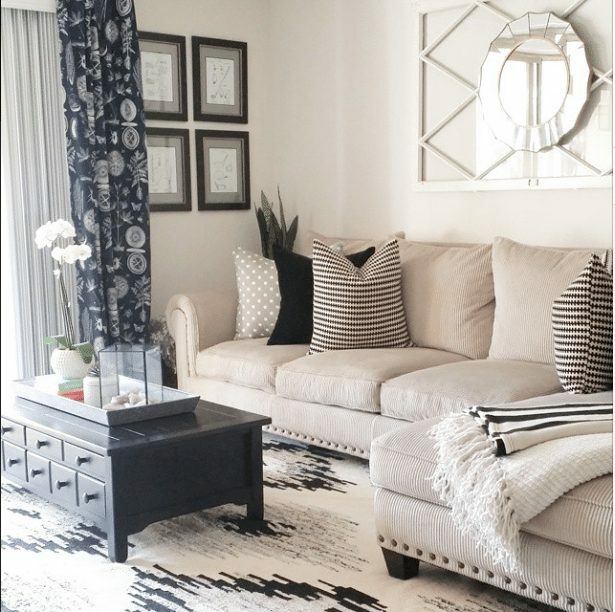 Danae proves that apartment living can be just as stylish as big-space living! 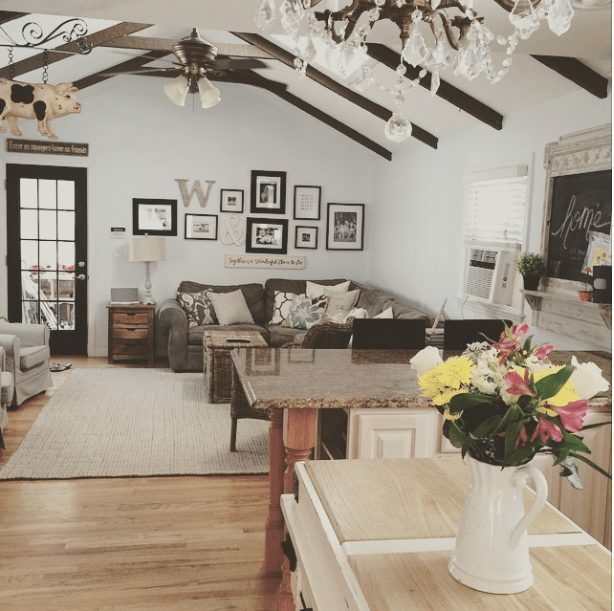 Lisa’s living room got me with those ceiling beams and chandelier! Way to accentuate the ceiling! Those ceilings!! 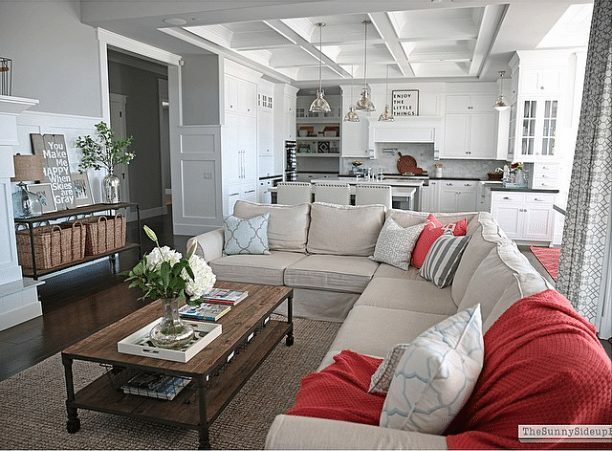 Such a bright and airy space! #drool!!!! 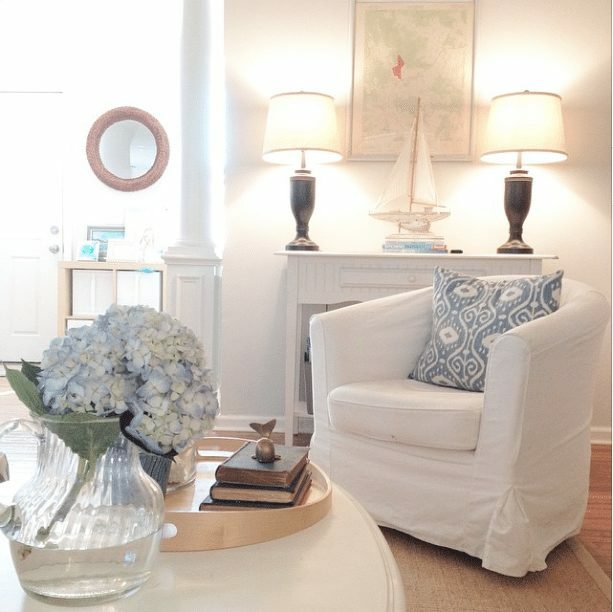 What a cozy little nook in Brianna’s home. She offers design services too if you’re interested! Our leather sitting chair has bit the dust and we’re on the hunt for a new one. 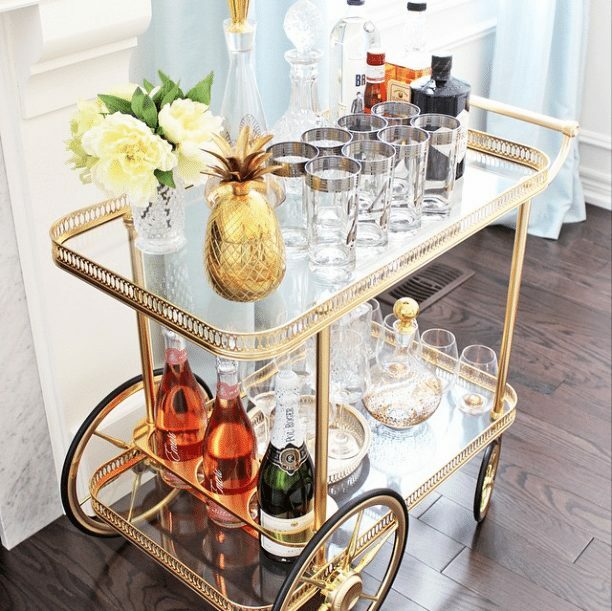 Something like this looks perfect for lounging in! And that soft fur throw! 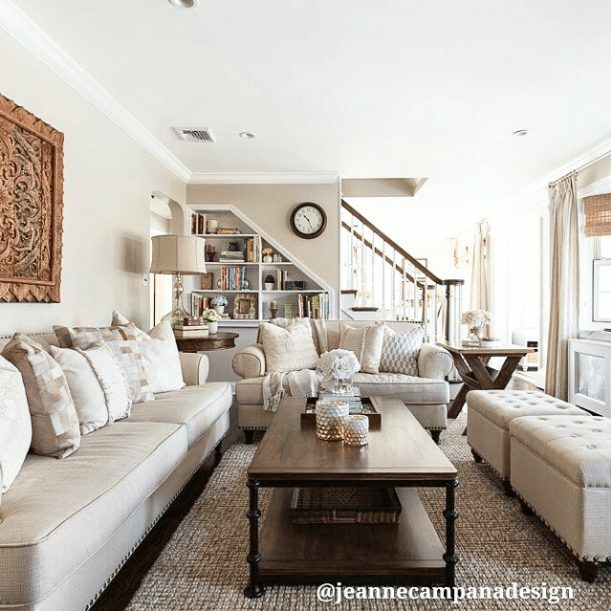 The mix of textures in Jeanne’s neutral living room make it anything but ordinary! I know that wall took a long time to create! Well done! That mirror is awesome too! Sarah, you have such gorgeous light streaming into your living room! 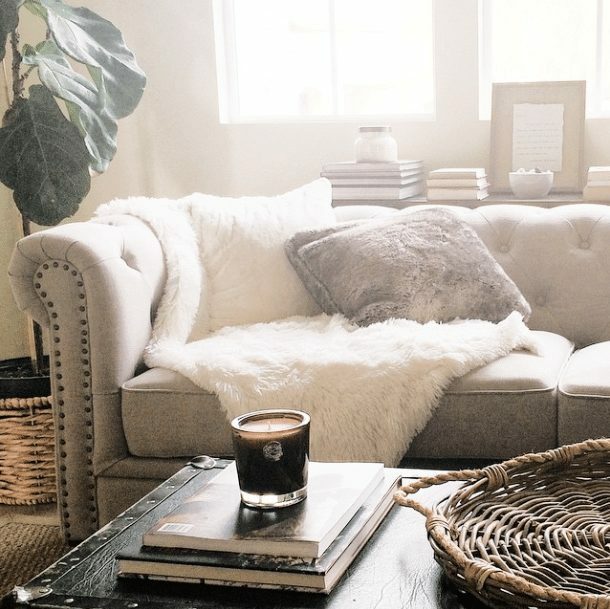 What a nice place to curl up and enjoy a cup of coffee in the morning! 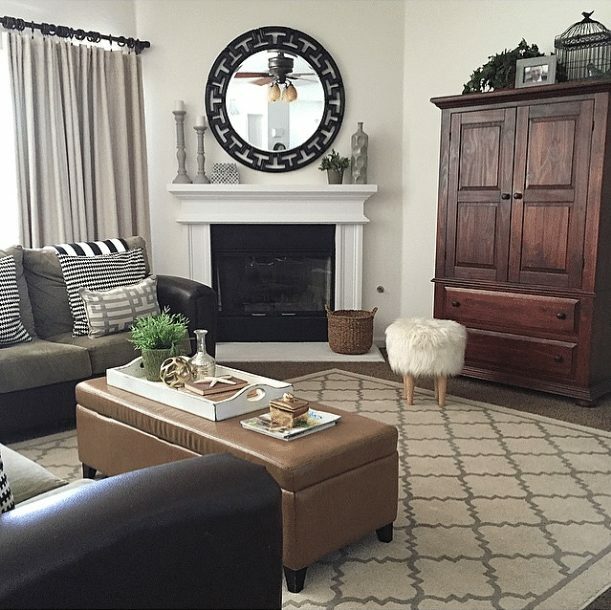 Leah created a sweet spot for her family to relax in. I’m sure this room sees lots of action with a family of 5 kids! Haneen proves that neutral doesn’t have to be boring! 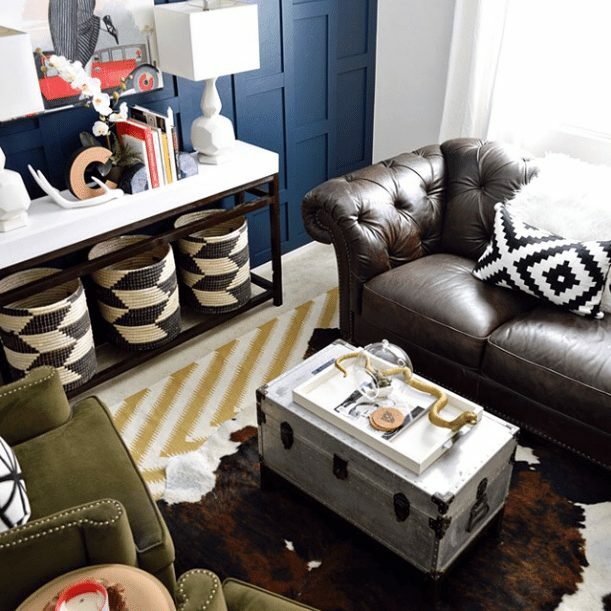 She adds her own unique mix of interesting elements and stenciled that wall to create a room that’s all her! 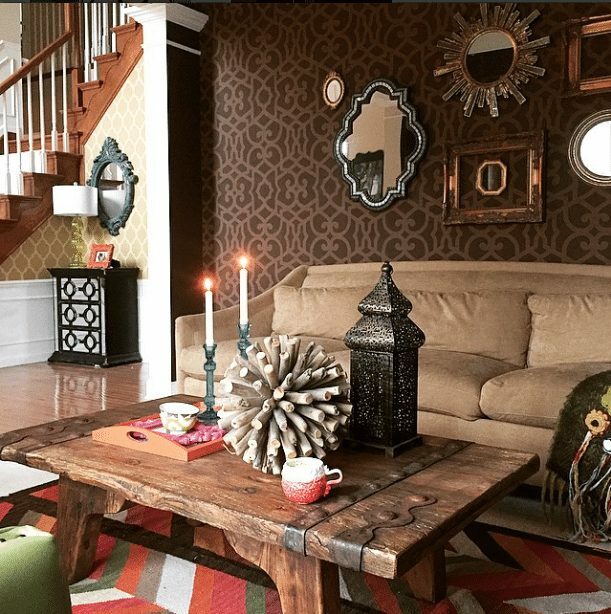 Lindsay’s cozy living room makes me wish we had a fireplace in our home. 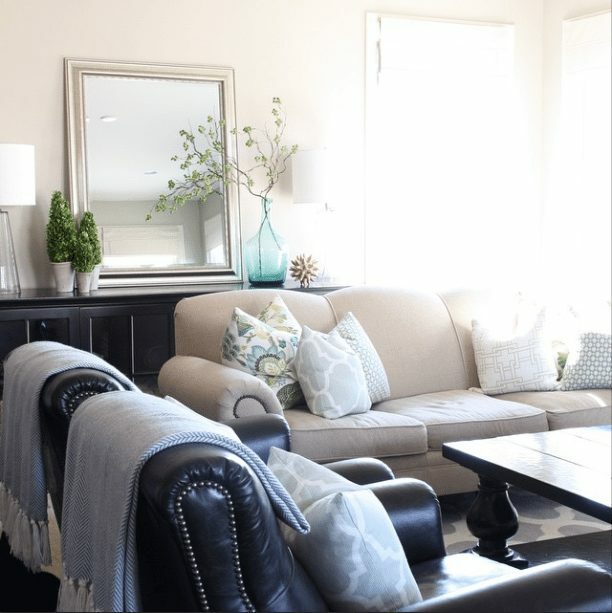 Now this is a beautiful brown leather couch! 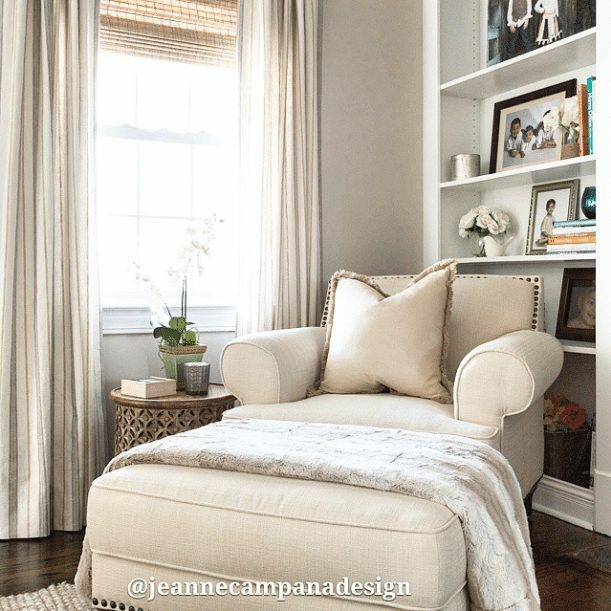 Love the nailhead trim and it looks very comfy! 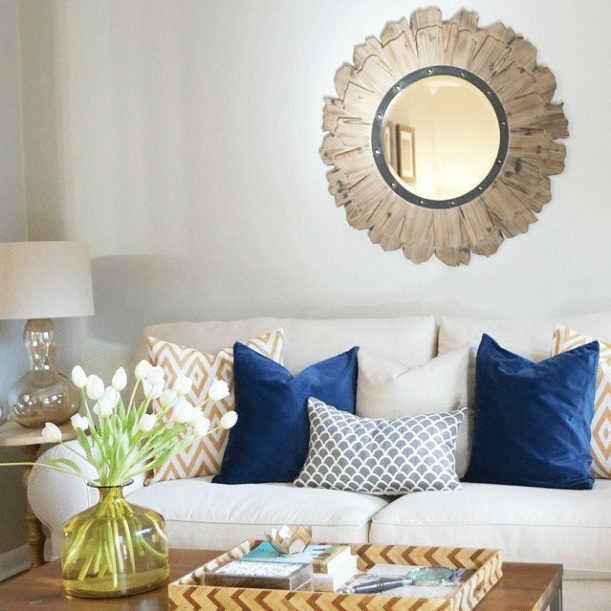 What a great wall piece and having a broad coffee table surface makes lots of space for pretty (and practical!) things! 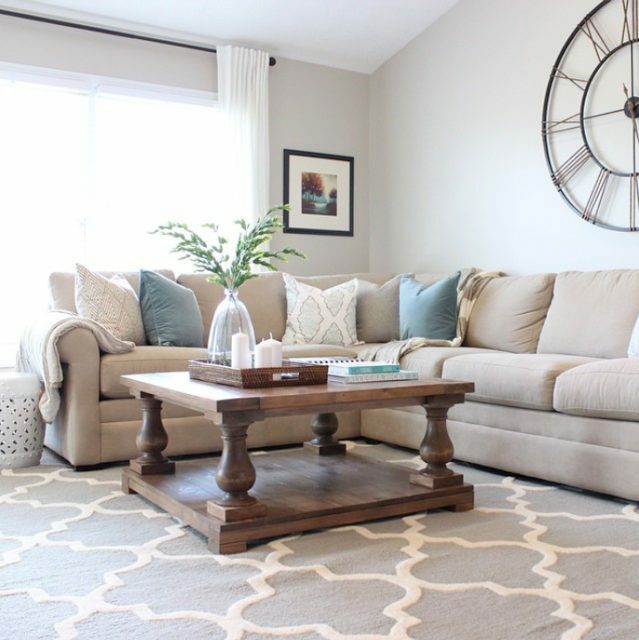 Megan and I share not only a first name, but a love of neutral spaces with soft blue accents! Last but definitely not least, I think I’d be right at home in Daysiann’s living room. Isn’t it cozy?! I can’t wait to see everyone’s KITCHEN spaces this week! P.S. Thank you to everyone who entered the Kendra Scott GIVEAWAY. The winner is Suzanne Sunburn! (just sent you an email Suzanne;) And, I have another HUGE giveaway coming up on Tuesday, May 19th! You won’t want to miss this one! WOW Megan, This is amazing!! 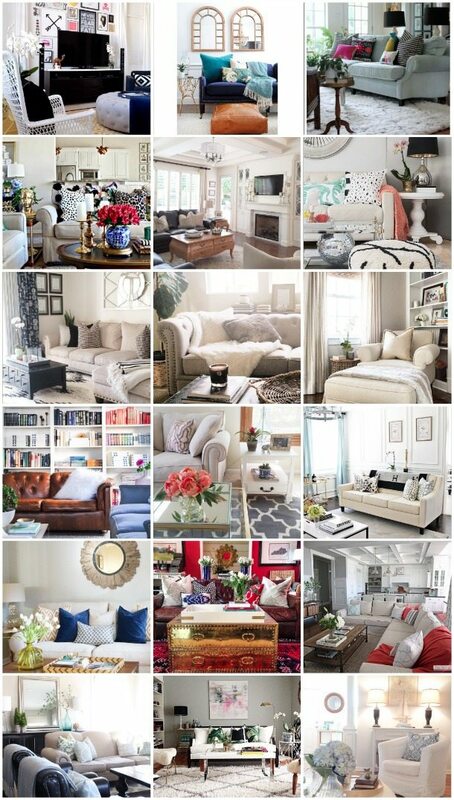 I could get cozy in each and every one of these living rooms!! 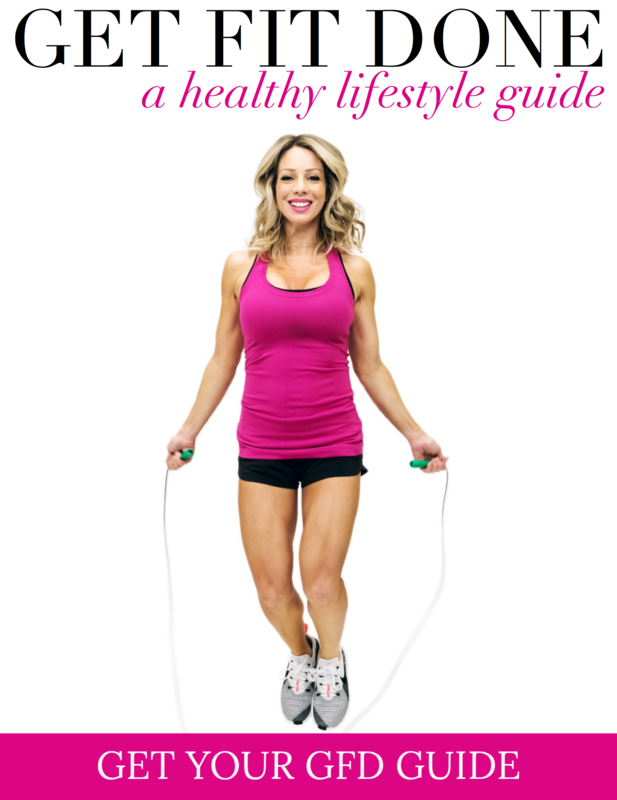 Thank you so much for sharing and for the feature!!!! What lovely rooms! I was up looking thru all of the spaces last night too. Thanks for including me in the roundup! There's a funny (well, funny now) story on my blog, about that sofa, that involved an inkpen and toddler. But all is well now! Thanks again! Megan, thank you so much! What an honor to be amongst so many incredibly talented ladies. I'm so grateful you included me!!! Do you have an instagram page? I would love to follow you. 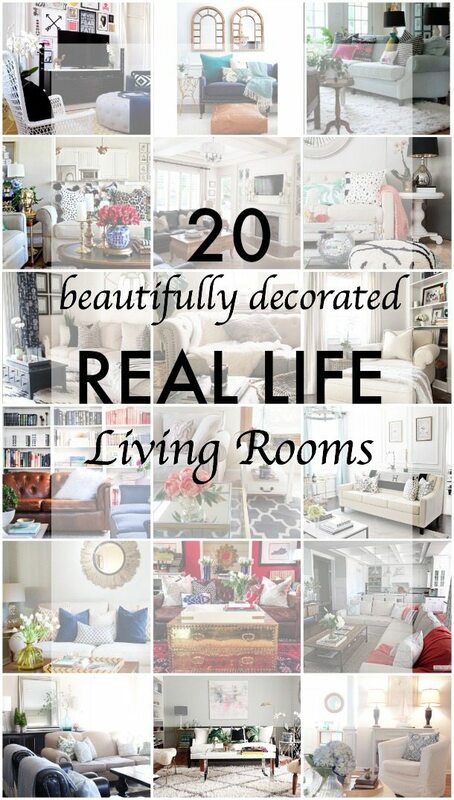 Thanks so much for the feature, and sharing all these elegant and fresh living rooms. A lot of inspirations here. Love this series! 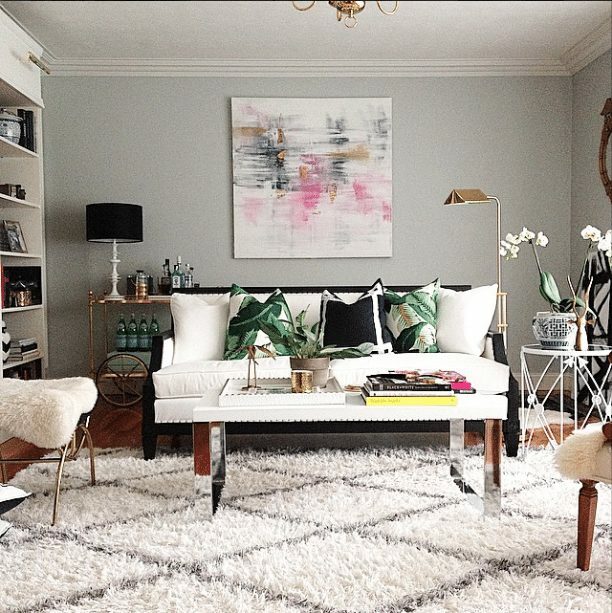 Tons of beautiful spaces!